What are some good books to read? How do I find a good book? OPAC is the online LACES Library book catalog using Follett Destiny software. Author, title or subject searches tell you what's in the library and where its shelved in our collection. Check out the sites below for great reading suggestions, read-alikes and reviews. Remember, everyone has different tastes in what is an enjoyable read. You might even think you don't like reading because you never found a book to enjoy. One of the sites below may steer you to hours of fun reading! ATN Book Lists An excellent source for readers. 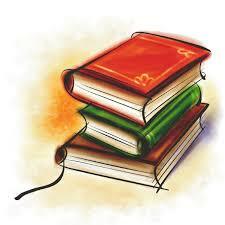 You can find lists of books by author, genre, and even read-alikes! Reading Rants Since 1998 this site has been reviewing "out of the ordinary" booklists for teens. A fun place to just browse, they divide books into subjects. For example there's "Fanging Around" for vampire fans, "Teen Tearjerkers" for those who like a good cry and everything in between. YALSA The young adult branch of the American Library Association, gives awards to the best of the best young adult books. They compile a list of the best young adult books each year, plus review the best adult books for young adults and the best graphic novels. But they don't stop there! They also list the best audiobooks, videos and DVDs. Teen Reads More than just book reviews, this site provides information about authors and author interviews, new releases, book clubs, podcasts, videos and a newsletter. VOYA The Voice of Youth Advocate site has books for teens REVIEWED BY TEENS. Who would know your reading tastes better than someone your own age? Here you'll find book lists, reviews and plenty more. LAPL Teen Web The Los Angeles Public Library Teen Web has great suggested reading lists searchable by subjects. But the have so much more! Stop by the site for homework help, book clubs, events, games, and teen STUFF. Stacked Books is an interesting page of YA recommendations that adults would enjoy. Story Siren is another site with books for teens that adults enjoy. Which Book? Title selection based on a sliding scale of multiple elements.